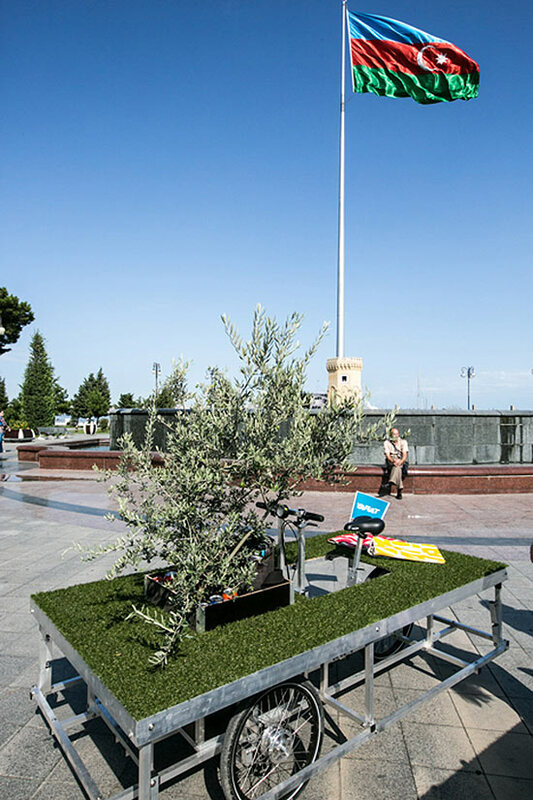 That old saw about how you can’t take public space with you is bound for the trash heap. 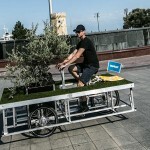 Landscape architect John Bela, co-founder of San Francisco–based Rebar, and artist Tim Wolfer of N55 have developed Parkcycle Swarm, a green space initiative that puts people and green space together—on wheels. 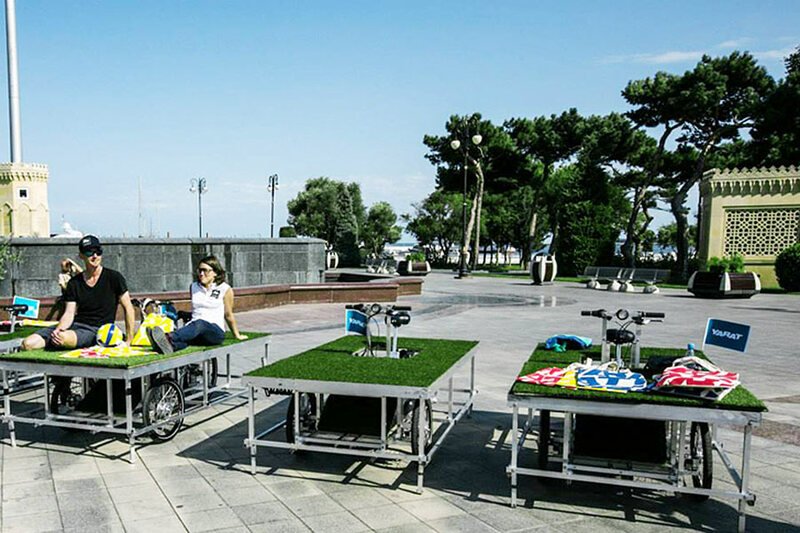 The basic Parkcycle module is a mobile green space made of an aluminum frame, plywood, standard bicycle parts, and astroturf. 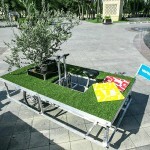 Each one measures 2.6 feet tall, 4 feet wide, and 7.4 feet long. 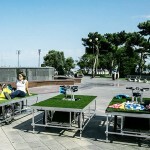 Parkcycles offer instant open space to neighborhoods. 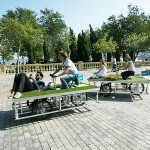 All users have to do is park the Parkcycle and sprawl out on the turf to enjoy a bottle of beaujolais or play some hackie sack. 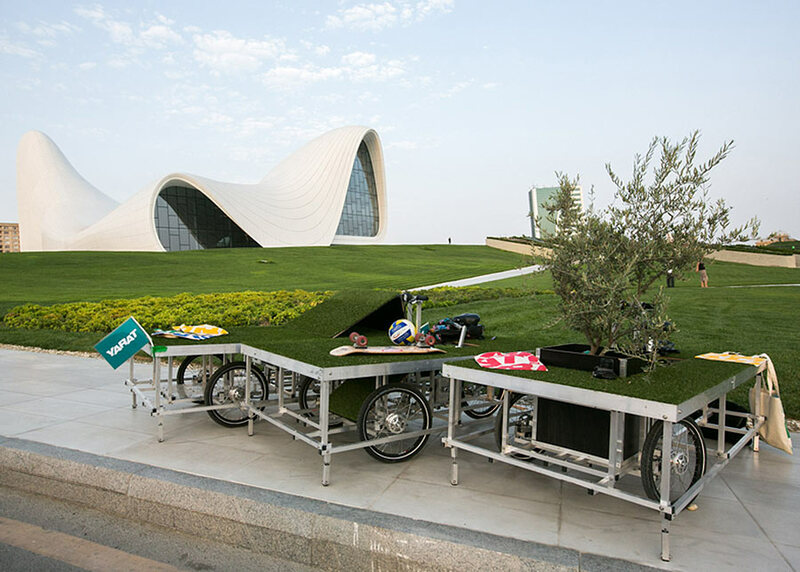 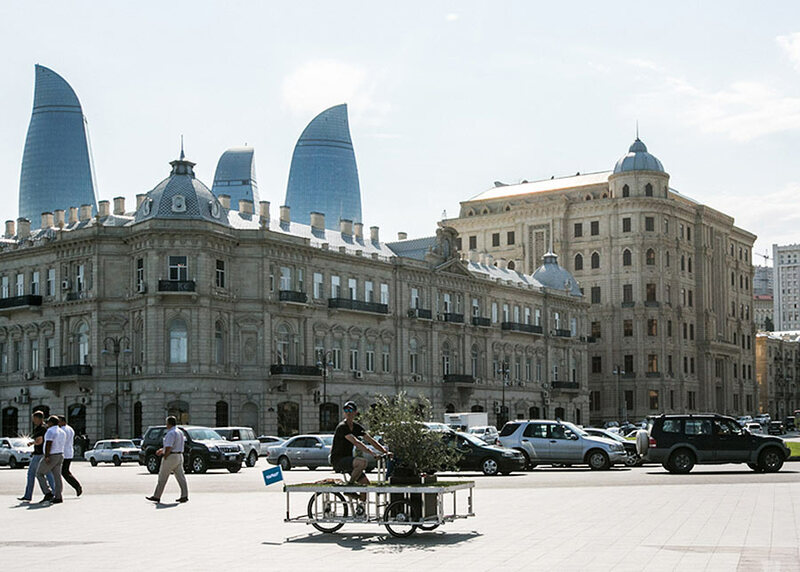 Four of the small mobile parks are currently making the rounds at the Participate public arts festival in Baku, Azerbaijan. 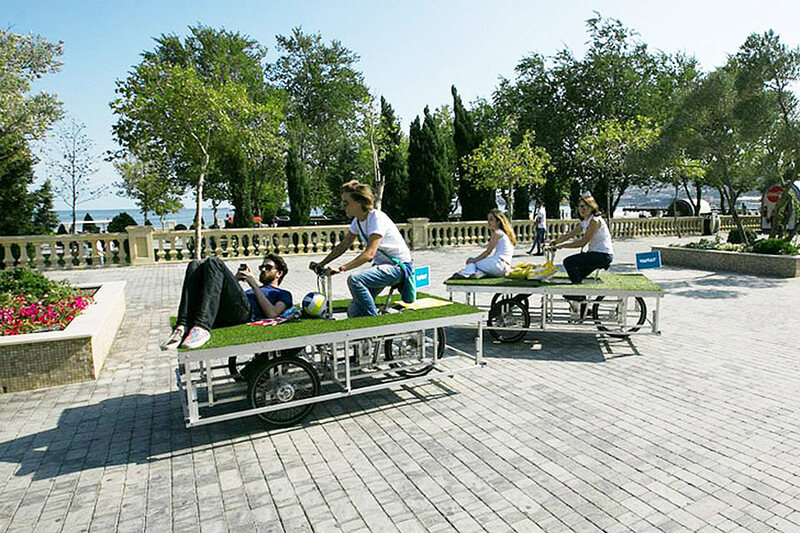 Rebar initially experimented with the Parkcycle concept for one of its famous Park(ing) Days in San Francisco. 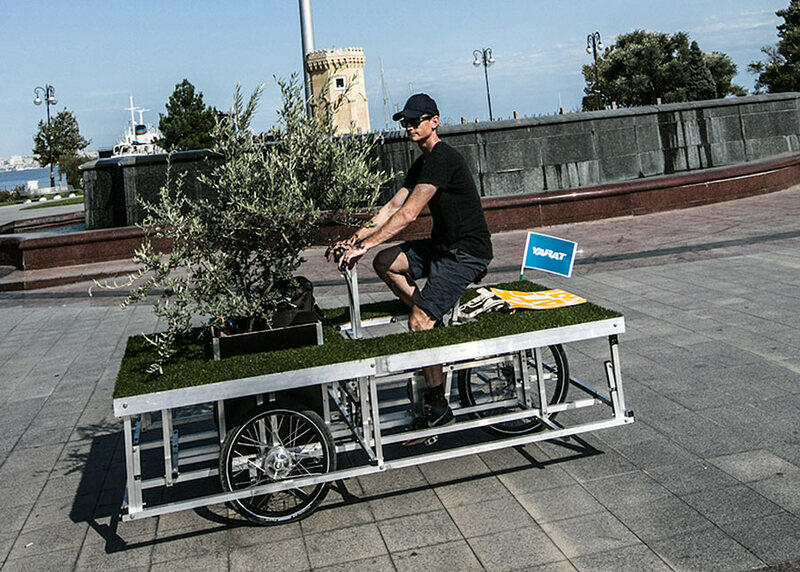 The company’s website explains the concept as a “human-powered open space distribution system designed for agile movement within the existing auto-centric urban infrastructure.” Copenhagen-based public art group N55 sees Parkcycle as an alternative to top down urban development with each Parkcycle forming an individual component within a larger system. 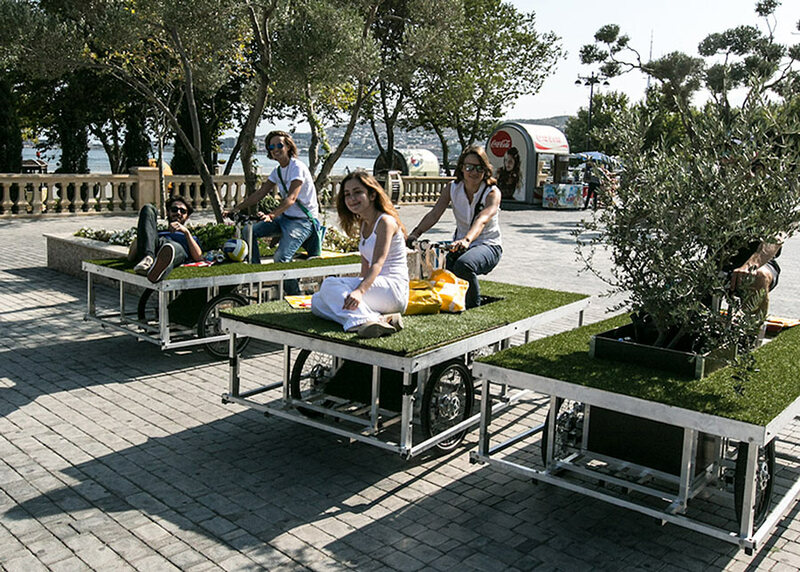 As more and more people construct their own Parkcycles, they can come together to form swarms, taking over their local urban environments. 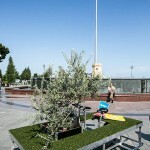 Each bicycle-park can be modified and designed to follow local bicycle standards. 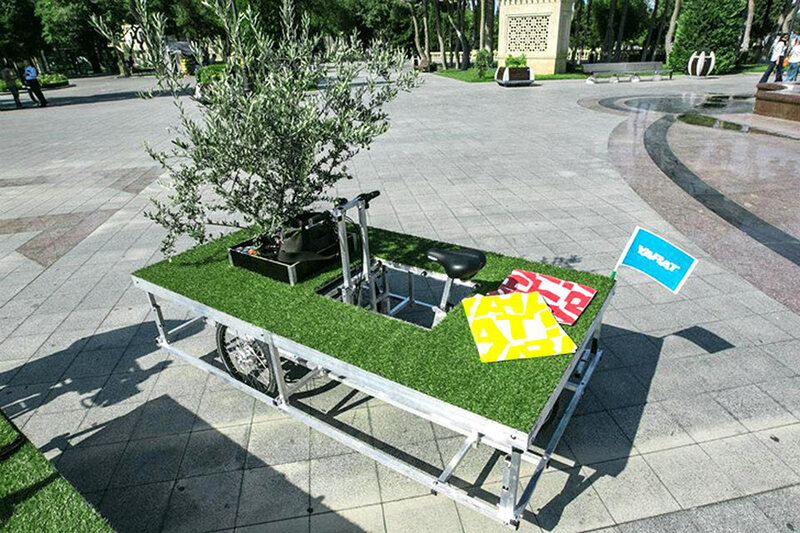 Additionally, N55 proposes that the Parkcycles could be equipped with small pavilions, trees, solar panels, and even portable grills and mobile kitchens. 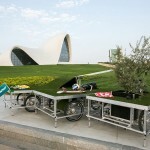 The original Parkcycle was built in collaboration with California-based kinetic sculptor Reuben Margolin and debuted in 2007. 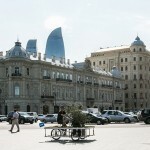 Photos courtesy Tim Wolfer / N55 and Yarat.